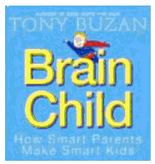 All parents who pick up this book will be inspired and empowered by Tony’s understanding of their child’s brain and what they can do to fulfil his or her true potential. Suitable for parents with lower Primary children. A definitive and practical pocket guide on how to Mind Map and using Mind Maps to plan, think, remember and organise. Written specially for kids between ages 7-14. Tony shows how easy Mind Mapping is and how it can help them remember things, revise, unlock imagination, save time and concentrate. 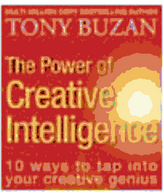 Tony shows 10 ways of tapping into your creative genius. Learn to use Tony’s “Self-enhancing Master Memory Matrix” to memorise easily up to a staggering 50,000 pieces of information. Apply this to all you do to improve your general knowledge, self-confidence, creativity and fun! Useful book for students to learn memory skills in learning new languages and studying for exams. A revolutionary approach based on techniques which use the brain and eyes more effectively to quicken reading speed and increase comprehension, while at the same time expanding your general knowledge. The comprehensive guide to Mind Maps® by the inventor himself. Beautifully illustrated. Exciting new ways to use and improving your memory, concentration and creativity in planning and structuring thoughts at all levels. 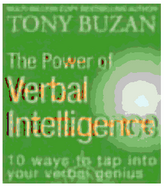 Harness the power of your verbal intelligence and become brilliant with words – reading, speaking, remembering and understanding them. Join our mailing to receive our Mental Literacy Newsletter ! Learn to make the most of your mind, to realize your potential in life ! Copyright © 2017 Tony Buzan Learning Centre. All Rights Reserved.